Ruckus, a part of Brocade, has tried to breathe a new life into its channel programme. The company aims to add a host new channel partners and tap the market with a range of solutions. In its latest announcement, the company has claimed to simplify its Channel Partner Programs to two tiers to better recognize and incentivize top performing partners. If the company is to be believed, the simplified programs allow the company to re-invest in channel and solution provider partners by making it easier to identify high achieving partners. The programs also give distributor and solution provider channel partners the opportunity for increased profitability with access to Ruckus’ wired and wireless products, enhanced sales enablement tools and visibility into customer leads and requirements. 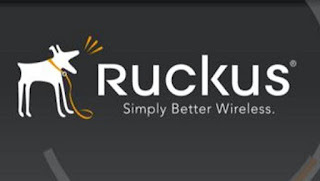 In addition to its current strong Hospitality and MDU specialization programs, Ruckus is also announcing channel programs focused on Smart City, Large Public Venue and Education to recognize and reward partners that offer unique capabilities and who have demonstrated repeated success with Ruckus in these segments. The Smart City and LPV Channel Specialization Programs are available today. The simplified Partner Program, along with the Education Specialization Program, will start in Q1 2018.